The Mile High City is the mountain west’s largest city and home to several things to see and do. If you’re looking west to Denver for a visit, you’ll need places to go. Luckily for you, we’ve put together this list of the top ten Denver neighborhoods to visit and what you can do in each. Denver has expanded recently, and that expansion has brought a vibrant new arts and culture scene to Denver’s Baker and South Broadway (SoBo) neighborhood. Baker/SoBo offers variety but if you’re looking for a great time with friends than consider famous Punchbowl Social, home to food, drinks, and games. There are several unique culinary, brewery, and venue options depending on your tastes. If you’re more into the art scene, you should consider visiting Baker – especially if you dig antiques. Baker/SoBo is home to Antique Row, home to nearly 100 unique antique shops. Throw in art galleries, thrift shops, vintage clothing, and craft stores, and you have a vintage shopper’s paradise. Capitol Hill is home to the gorgeous Colorado State Capitol Building, but there’s much more to this bustling neighborhood. Capitol Hill is home to a variety of nightlife, dining options, breweries, and even several options if you need a late-night tattoo. Any Denver newcomer must venture down historic Colfax Avenue to explore the street that famous authors like Jack Kerouac ventured down years before. Colfax Avenue is colorful, full of great locally-owned cafes, and full of great shops like the Twist and Shout record store or the Tattered Cover bookstore. Though traditionally family-friendly during the day, Capitol Hill and specifically Colfax Avenue are not recommended for small children at night. Cherry Creek is a shoppers’ paradise. You have two distinct shopping options in the Cherry Creek Shopping Center and Cherry Creek North. Cherry Creek Shopping Center features high-end retailers including Neiman-Marcus and Restoration Hardware among dozens more. Cherry Creek North features chains like North Face and Orvis as well as locally-owned and operated artisan shops. If shopping makes you hungry, you can stop in at one of the thirty-plus restaurants or pubs found in Cherry Creek North. Art, clothing, jewelry, and food ranging from Indian to American pub food can be found in Denver’s Cherry Creek neighborhood. If you’re looking to indulge yourself – set your sights on Cherry Creek. City Park is found in the heart of Denver, and its namesake comes from City Park itself. City Park features miles of trails, wide green lawns, beach volleyball, lakes, and several events and concerts throughout the year. 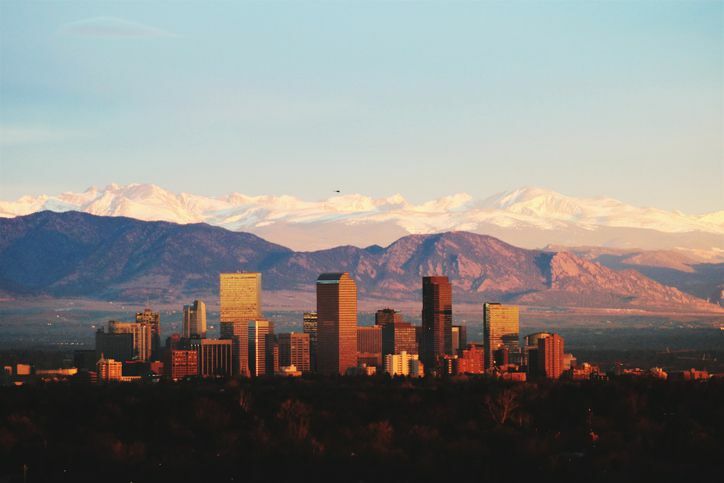 The City Park neighborhood is also home to many Denver attractions including the Denver Museum of Nature and Science for a history lesson, visit the planetarium, or IMAX movie, the Denver Zoo where you can see lions, tigers, and bears, and famous Bluebird Theater for live music. If you’re thirsty or hungry, you can try one of City Park’s several locally-owned restaurants, bars, or cafes. City Park’s central location allows you to use it as a great starting point for your Mile High tour. Washington Park, known locally as Wash Park is one of Denver’s most desirable places to live but also a great place to visit. As the name implies, the Washington Park neighborhood is dominated by Washington Park, one of the finest public parks in the entire Denver metroplex. You can fish, jog, ride your bike, play volleyball, or watch people passing by. During the summer you can take a paddleboat out into Washington Park’s primary lake. Washington Park is also home to the Gaylord Street District which features excellent restaurants, shopping, and more. Wash Park is a great place to relax, eat, and enjoy Denver at your own pace. Lower Downtown, known locally as LoDo, is found down the street from Denver’s downtown neighborhood but is its distinct neighborhood with plenty to do. LoDo is a great place for Denver nightlife with plenty of pubs, restaurants, clubs, and live music venues. If you want a great view of Denver, you can enjoy one of LoDo’s many rooftop dining options. Lower Downtown includes historic Larimer Square which is packed with fantastic restaurants, breweries, a comedy club and plenty more. If you find yourself in LoDo during the summer head to 20th and Blake to catch the hometown Colorado Rockies at Coors Field. If you’re visiting Denver for the culture, you must head to the Santa Fe Arts District. The Santa Fe Arts District is home to several independently owned studios, galleries, and other unique shops. You can find everything from southwestern style folk art to modern sculpture down Santa Fe though folk art is the focus. As the name of the street implies, The Santa Fe Arts District celebrates its Hispanic roots with some of the best Hispanic food in all of Denver including El Noa. Santa Fe Arts District is also home to Museo De Las Americas, a museum devoted to Hispanic art. If you’re a whiskey visit Colorado’s Stranahan’s Whiskey for a tasting and tour. The River North Arts District, known locally as RiNo, is a fascinating neighborhood north of the rivers of LoDo. Though the neighborhood was traditionally an industrial center, it has recently expanded to include restaurants, breweries, shops, and several unique art galleries. RiNo’s motto is “Where Art is Made,” and that includes both established galleries and street art. RiNo hosts First Fridays during the first Friday of every month where different galleries open their doors for unique events. RiNo has also established a nightlife over the past several years. You can spend morning to midnight in RiNo and never run out of things to do. The Highlands neighborhood is one of Denver’s oldest but has seen a recent revitalization making it a must visit for the Mile High City. The Highlands is split into three distinct areas known as Highlands Square, Tennyson Street, and Lower Highland (LoHi.) The three districts offer different types of entertainment and other highlights including restaurants, shops, live entertainment venues, and more. Explore the Victorian homes and unique architecture of LoHi or check out the antique arts at the Tennyson Street Cultural District. You can also visit REI’s flagship store located at the confluence of Cherry Creek and the South Platte River. Denver’s flagship REI is built in a repurposed train station and offers the latest in outdoor equipment and training. Top dining destinations in Highland’s thriving culinary scene include Asian-themed Uncle and gastro-haven Highland Tavern. Whatever you’re in the mood for - you can find it in the Highlands neighborhood. Congress Park is primarily a residential neighborhood but is also home to many great Denver attractions including the Denver Botanic Gardens which offers unique events year-round and a summer concert series as well as sprawling Cheeseman Park where you can reflect on the lush green lawns or snap pictures of the unique neoclassical pavilion. You can find a variety of restaurants and bars on Colorado Boulevard and dotting the streets bordering Cheeseman Park. If you’re lucky and find yourself in Congress Park during the fall, you must take a haunted tour of Cheeseman Park. Denver features many unique neighborhoods, and all have their own stories, sights, and things to do. If you’re thinking about visiting the Mile High city take a good look at this list and see which neighborhood is best for you.